Is elimination really the Holy Grail? We have not really eliminated the hazard or the risks of asbestos exposure; we left it in place to be dealt with later. If you are well educated on the principles of control you know that elimination is considered the pinnacle of our hierarchy. Conventional wisdom indicates that the greatest success for control lies in this method, followed by substitution and the institution of engineering, administrative and personal protective equipment controls — in this order. In the province of Alberta, where I practice my craft today, the hierarchy of control is embedded in the Occupational Health and Safety Code. The heading of “Part 2 Hazard Assessment, Elimination and Control” makes elimination its own thing and separates it, at least grammatically, from control. Hazard is an interesting concept and that should not be divorced from its big brother, risk. There are many definitions of hazard. A simple one I use is the inherent ability of a thing to cause harm. You may have a better one, but that’s the one I use most of the time. Put the two concepts together and you get hazard elimination. What does that look like? We will eliminate the inherent ability of a thing to cause harm. While you’re thinking about how to do that, I’ll continue. Let’s talk about risk and its connection to hazard. Hazard informs risk and provides the context for the consequence or adverse outcome arising from exposure to it. The probability of harm is the other part of the risk calculus driving us to understand the impact of the harmful thing. Risk is an estimate and is an artificial construct. It cannot be measured empirically. It is often described as a continuum starting at low and going to high. If you want to evaluate risk quantitatively, its lower value is normally always a positive, non-zero integer. The thought of zero risk is a fantasy as is hazard elimination. Let’s apply this to a few examples. In the early 1970’s asbestos was prohibited from use as a structural fireproofing material in buildings in Canada. This was the first time in my recollection that we applied the principle of elimination to asbestos, though some would say we just used substitution. 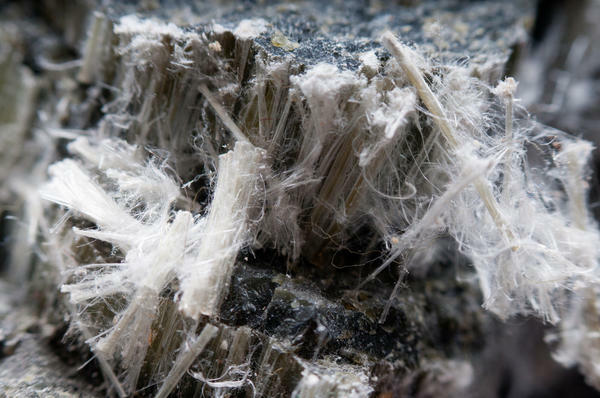 Continued prohibitions of asbestos use occurred through a variety of regulatory and industry strategies through the ‘80s and ‘90s. It was in the ‘90s that I was actively involved in the assessment of asbestos risk and its mitigation while working for a mid-sized municipality in southwestern Ontario. I was continually surprised at how often we would find it in the most unlikely of places. I would advise my stakeholders that 1985 was the cutoff for asbestos being used as part of building construction. Anything built after that date would be asbestos free. That worked until we started to find it in buildings built in the ‘90s or in the 2000’s. Buildings that had been spec’d to be asbestos free were also found later to contain asbestos. The elimination of the asbestos hazard has not been as successful as we had hoped. One of the enduring properties of asbestos is that it is, for all intents and purposes, indestructible. Canada is blessed with an abundance of this naturally occurring material and has only just recently decided to end its practice of exporting it as a product to the developing world. After over 40 years of the elimination of asbestos from the world of work it is still one of the top killers as measured by our workers’ compensation systems. We have not really eliminated the hazard or the risks of asbestos exposure; we left it in place to be dealt with later. We have tried to not make it worse, which is a good thing. Until someone decides that asbestos is useful again (do not read the news coming out of the United States), vigilance and rigor is our actual control strategy. Decades ago we came to understand that the aerosol products we were using were depleting the ozone layer in the upper atmosphere. Hydrochloroflurocarbons (HCFCs) were found to break down ozone in the atmosphere and thereby increase the amount of ultraviolet radiation impacting the surface of the planet and the risk of skin cancer. Canada was at the forefront of eliminating the use of ozone depleting substances through the institution of the Montreal Protocol in 1987. Many nations around the world subscribed to its tenants and for many years it appeared that we were making a dent in reducing the risk and remediating the problem. At one-point scientists were able to observe a reduction in the size of the ozone hole above Antarctica. It has been suggested that the cause of the improvement could be associated with the ban, but also could be attributed to other reasons including climate change. Recently there have been reports of industrial workplaces in Asia contributing to a rise in the use of certain CFCs. This is extremely troubling. Is it another control in disguise? In the two examples above I’ve spoken about ubiquitous materials that have environmental and health impacts that have a basis of control in the prohibition, ban or elimination of their use. These are traditional examples of the control technique of elimination. In our discourse we use these as successful examples. There are a host of similar types of bans or restrictions in place mostly for chemicals, but you also see them for some technologies. Other examples include the List of Toxic Substances from Environment and Climate Change Canada, the schedule of materials associated with the Chemical Weapons Convention and nuclear safeguarded materials regulated by the Canadian Nuclear Safety Commission. We have also have Controlled Drugs and Controlled Technologies. The commonality is that the technique used to enable the ban, elimination or restriction is usually an international treaty with voluntary adherence by the nation. The treaty and the related federal legislation is actually a rule; similar in many ways to those we put in place at work to guide our behaviour. They have the same effectiveness and failings as the rule of law. Rules are in fact another level of control, usually not considered the most effective — administrative controls. •Develop a clear rationale for the elimination. This is key otherwise people may not understand the genesis of the rule and may not see their part in making it a reality. •Communicate the elimination to all the applicable stakeholders in a variety of modes to ensure you’re getting the message heard by your audience. And then communicate it some more. •Talk to the procurement and planning functions within your organization about implementing systems to catch potential purchases of the eliminated item or inclusion within project specifications and plans. •Monitor and measure performance associated with the elimination. •Reward good behaviour and correct where necessary. •Document the tribal knowledge of the elimination and ensure that it is embedded in the story of your workplace so that it is fact and not myth. •Re-evaluate your elimination regularly as new information becomes available. It may be that you need to reinforce the message or change your direction. So, how successful have you been with the use of the elimination control? Do your experiences reflect the societal examples I’ve used here? Do you have any other strategies that you would add to the small list of insights I’ve described? Do you believe differently? 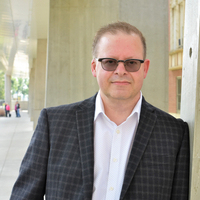 Andrew Cooper is the acting director of environment, health and safety at the University of Alberta. He empowers a diverse team of health, safety, environmental and emergency management colleagues who are focused on advancing research and learning at the university. He can be reached at andrew.cooper@ualberta.ca.